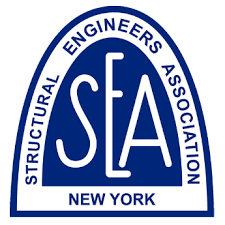 On May 30, 2017 the EERI New York – Northeast (NYNE) Chapter hosted a joint event with the ASCE Metropolitan Section Infrastructure Group: “2016 Mw7.8 Muisne, Ecuador Earthquake: 1 Year Later.” This mini-symposium and panel discussion addressed what was observed during the GEER-ATC and EERI-LFE reconnaissance missions following the earthquake, and the relevance of what was learned to New York City and United States critical infrastructure. Guest lectures and panel discussions were comprised of engineering leaders from the Ecuadorian Army Corps of Engineers (EACE), US Army Corps of Engineers (USACE), Applied Technology Council (ATC) and NYC Emergency Management (NYCEM), in addition to other distinguished academia and industry leaders from Ecuador and the US. The EERI Distinguished Lecture of 2016: “From Performance-Based Engineering to Earthquake Resilience,” was presented in New York City on May 4th, 2017. EERI-NYNE would like to thank Dr. Greg Deierlein for making it out to New York and providing an excellent lecture. We would also like to thank WSP USA for being a generous host and sponsor for this event. To access the official EERI-NYNE briefing on the past 2015 Ghorka, Nepal M7.6 Earthquake, please click on this link.